Some of you may have noticed that I started a new job in October. A few friends have been asking me exactly what it is I’m doing now so I thought I’d write a quick blog post to tell you about it! 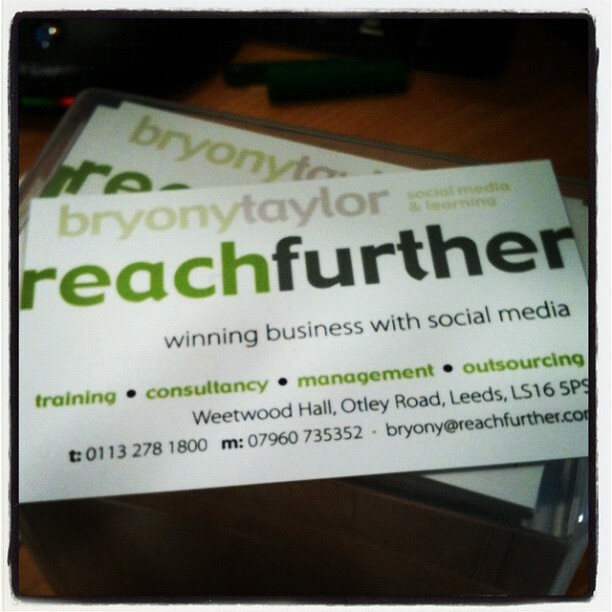 I am working part time (Tues-Thurs) with Social Media Consultancy Reach Further Ltd based at Weetwood Hall Hotel in Leeds. Liz Cable established Reach Further in 2006 and has been involved in social media since before the term was coined. Reach Further provides training in establishing an online presence through social media and also manages social media for a variety of clients in both the public and private sector. Liz read my blog about American Express’s disastrous attempt at using Twitter, saw my profile on LinkedIn and got in touch. When we met we really hit it off and she asked if I’d like to join her team – it was a no-brainer to say ‘yes’! This is the second time I’ve got a job through my online activity! It's official - I now have business cards! LinkedIn Networking Know-How – learn LinkedIn on LinkedIn over 6 weeks (one hour per week). We also run face to face courses at Weetwood Hall on a regular basis on Twitter, LinkedIn, Facebook, Blogging, Building a website in a day and Social Media Strategy. I’m also enjoying working with some of our clients on their online presence including Roger Steare, the Corporate Philosopher who’s written a great book called Ethicability (on ethics in business) and The Oddfellows, a friendly society with an amazing archive. Do get in touch if you want help and advice on using Twitter, Facebook, LinkedIn, social management tools like Hootsuite, blogging or managing a company’s digital presence. My Reach Further email is bryony@reachfurther.com. Next A service on Twitter? How does that work then? 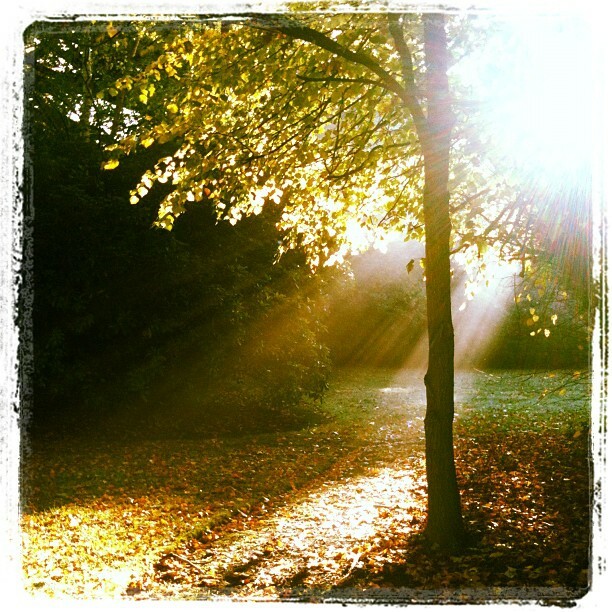 What a beautiful photo, Bryony. Great to hear that your new job is so enjoyable and fulfilling. I am currently listening to very old R.E.M., which has got me thinking about Ritzy’s and Tetley’s and Hartley Ave; and about what a fun time we all had. Really looking forward to meeting up with everyone next year.